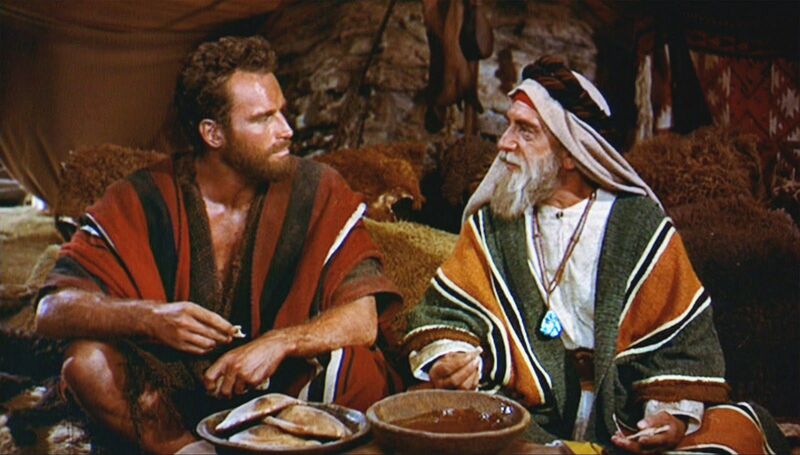 When getting it all done gets to be too much – J.
Moses and Jethro in the 1956 film "The Ten Commandments"
Part of what makes Moses so relatable is that, throughout the Torah, he appears as a real human being, a man who is fallible, self-doubting, overwhelmed at times and insecure at others. In essence, he is the definitive biblical role model, a man so close to God yet so human as well. 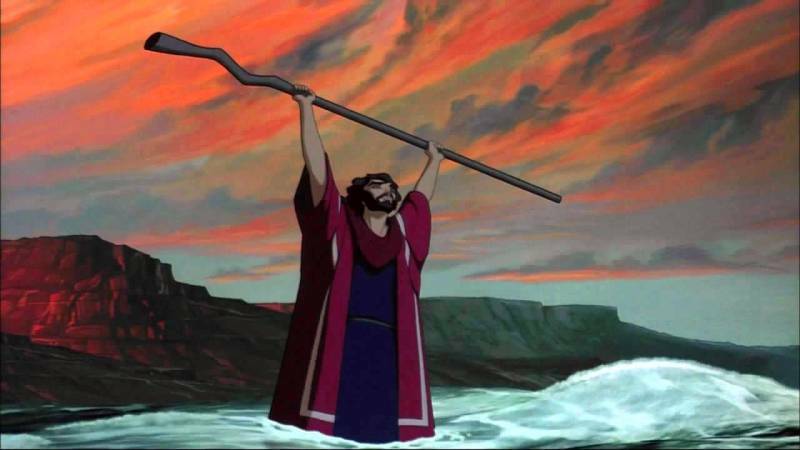 This week’s parashah finds Moses at the mercy of the fears and demands of the grumbling and complaining Israelites — and it’s he who bears the responsibility for the disgruntled and quarrelsome masses. Or at least that is what he presumes, until his father-in-law Yitro, or Jethro, steps in. Jethro admonishes Moses: “Why do you act alone, while all the people stand about you from morning until evening? You will surely wear yourself out, and the Israelites as well” (Exodus 18:14-17). It is Jethro, the Midianite priest, who imparts to Moses the sage advice to delegate some of his responsibilities to trustworthy and God-fearing men. Nachmanides even warns that if Moses does not find such support, he will fall down from exhaustion and wilt like a leaf. Ecclesiastes teaches that there is nothing new under the sun, and certainly this is true with this week’s Torah portion. Wilting like a leaf and falling down from exhaustion is both ancient and quite modern, as well. These days, with our hyper-linked, non-stop, fast-paced and endlessly demanding lives, so many of us regularly feel weighed down by demands. 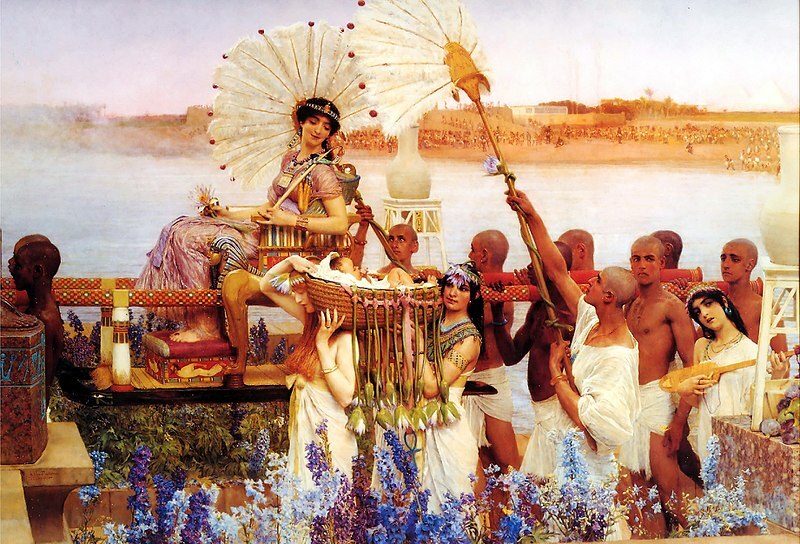 And the problem is that many of us, unlike Moses, have no clear path for easing our burdens. What are we to do if there is nobody to whom we can delegate? No wise souls waiting in the wings to pick up the extra work that overwhelms us, or to navigate disputes and ease tensions in our families? Where is our Jethro? This past summer, I stopped in an airport bookstore and found what appeared to be the answer. “Eat That Frog” by Brian Tracy offers to help its readers get more done in less time and stop procrastinating. Perhaps this book would be the antidote to the overwhelm and overwork so many of us experience. Perhaps this would be my Jethro! From this small volume I did indeed receive enormous lessons that have altered the way I work and live, lessons that echo those learned by Moses in Exodus. Namely, I learned the “Law of Forced Efficiency.” It asserts that there is never enough time to do everything, but there is always enough time to do the most important thing at any given time. The reality of modern life is that there will always be more to do … at home, at work and in society. And often this leaves us feeling as if we haven’t done or can’t do enough. The key, then, according to Tracy, is being able to discern what is most important now and what can wait. But saying no doesn’t usually come easily or naturally to us. We see this in Exodus 19:5, when God instructs Moses to command the Israelites to obey God and keep God’s covenant. Upon hearing God’s instruction, the Israelites respond in unison, “All that God has said, we will do.” Without hesitation or questions about their new obligations, the Israelites agree heartily and enthusiastically. As a result, they were blessed with a treasured relationship with God, and shortly thereafter received the Ten Commandments. We are often blessed or rewarded when we say yes or volunteer to help out. And giving of ourselves is vital, and holy … until it is not. Until we give so much that we become exhausted, wilting under the weight of it all. As Pirkei Avot teaches, lo alecha hamlacha ligmor — it is not up to us to finish the task, nor can we desist from it. With some ancient advice from Jethro and modern wisdom from Warren Buffett, perhaps we can say no a little more often, and say yes with more joy. 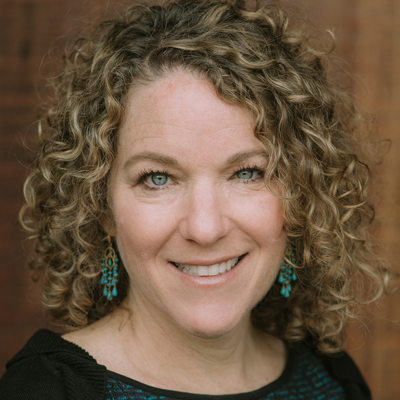 Rabbi Stacy Friedman is the senior rabbi of Congregation Rodef Sholom in San Rafael. She and her husband Frank are the proud parents of two teenage sons.